As we take our annual look at the year in the cool and the wacky we find a ton of high-tech goodness, from the 300,000 virtual Android-based device network being constructed by the Sandia National Laboratory to the Kansas City program that looks to give interested entrepreneurial-types free room and board to access Google's ultra-fast fiber network. There were major wacky stories as well of course. Take a look. Computer history was made this year when the National Museum of Computing in England competed a three-year restoration project on what it claims is now the world’s oldest original working digital computer, a 2-ton, Harwell Dekatron (aka WITCH). 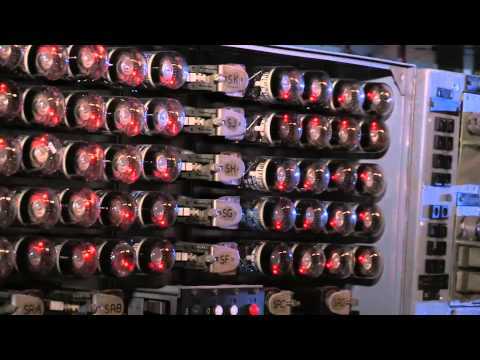 According to the museum, the Harwell Dekatron computer first ran at Harwell Atomic Energy Research Establishment in 1951 where it automated the tedious calculations mechanical hand calculators. Designed for reliability rather than speed, it could carry on relentlessly for days at a time delivering its error-free results. It wasn't even binary, but worked in decimal, the museum says. Wild story here from NBC.com that told of a recently declassified document about a U.S. Air Force “flying saucer” concept. “Drawings of the saucer-like vehicle come from "Project 1794, Final Development Summary Report" — a 1956 document recently uncovered by the National Archives that describes a vertical takeoff and landing (VTOL) aircraft capable of hovering at ground level and reaching supersonic speeds in the sky. The U.S. military had hoped the aircraft could reach a top speed of Mach 4 (2,880 mph) and climb to a height of 100,000 feet (19 miles). But tests at the Wright-Patterson Air Force Base in Ohio soon showed that the concept fell far short of its supposed promise,” NBC.com stated. 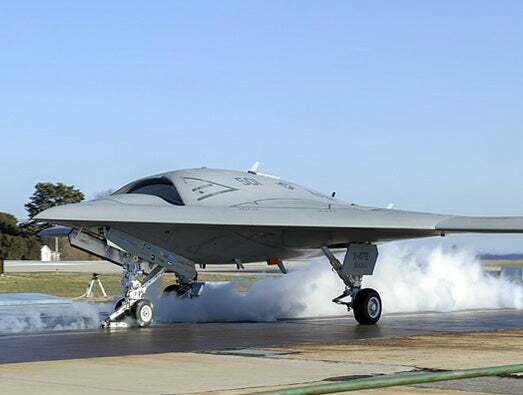 Refueling an aircraft while it is flying can be a tricky-enough proposition but refueling an unmanned jet from another unmanned jet sounds like a scene for a James Bond movie. But such a tricky procedure is apparently within reach as the Defense Advanced Research Projects Agency this year said it successfully tested the technology needed to fly two drones close enough together in mid-air, at speed that one, acting as a tanker aircraft, could successfully refuel the other. 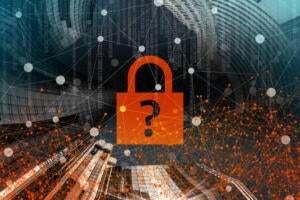 Researchers with the Sandia National Laboratory in October tied together 300,000 virtual Android-based devices in an effort to study the security and reliability of large smartphone networks. The Android project, dubbed MegaDroid, is carefully insulated from other networks at the Labs and the outside world, but can be built up into a realistic computing environment, the researchers stated. That environment might include a full domain name service (DNS), an Internet relay chat (IRC) server, a web server and multiple subnets, said John Floren a computer scientist with the project. What do you get when you combine work experience at Apple, NASA, MIT and BMW with an expert industrial designer? One helluva cup of coffee apparently. This is no run-of-the-mill coffee brewing system either, unless you have the $11,000 the new Blossom One Limited system costs. Blossom is the invention of three key people. Jeremy Kuempel, president of the company and the inventor of Blossom's core technology. He has an engineering degree from MIT and has worked with Apple (on the iPad2), Tesla Motors and BMW. Matt Walliser is the chief engineer and worked for NASA. Joey Roth, is the lead designer who has designed some of the world's great teapots, the company says. Sadly, it's likely not the last time you'll hear of this kind of stupidity but, a Pennsylvania man was arrested in September for refusing to return an iPhone he found unless he was paid a $40 ransom. According to a report on The Smoking Gun, the story began when Donna Barr's daughter lost her iPhone at the Rave Movie Theatre on Sept. 7. After hearing that her daughter lost the phone, Barr called the iPhone only to allegedly get Erick Rosales Rojo on the other end who said if she wanted the phone back, he needed to get $40. When Rojo showed up the next day to exchange the iPhone for cash, he was arrested. Tiny organisms embedded in rocks expelled from other planets that then smashed into Earth could have brought life to the planet, according to researchers presenting computer simulated evidence of such occurrences at the European Planetary Sciences Congress in September. The researchers report that the solar system and its nearest planetary neighbors could have swapped rocks via asteroids or meteors at least 100 trillion times well before the Sun struck out from its native star cluster. Furthermore, existing rock evidence shows that basic life forms could indeed date from the Sun's birth -- and have been hardy enough to survive an interstellar journey and eventual impact. 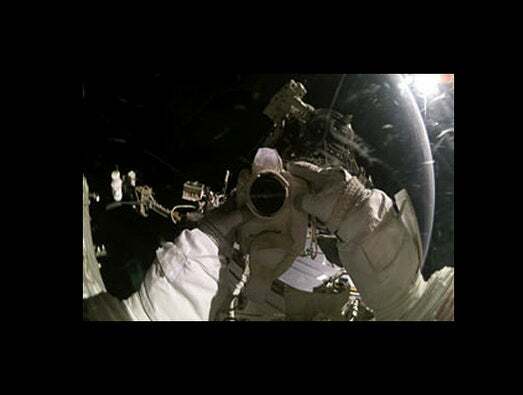 In September, astronauts aboard the International Space Station used an ordinary toothbrush to solve a problem with a bolt they were trying to undo on the exterior of the satellite, ABC News reported. Astronauts were struggling to replace the electrical switching unit on the station's eight-panel solar array systems resulting in an "epic, eight-hour spacewalk." The astronauts were unable to tighten a bolt to secure the unit, forcing them to improvise using a toothbrush tied to a metal pole. The low-tech combo did the trick, clearing the metal shavings causing the problem. In one of the more interesting annual measurement of society the Beloit College Mindset List offers a snapshot of what the entering college class of 2016 likes and dislikes. This year's report - the 14th annual version -- starts out: The Class of 2016 has "come to political consciousness during a time of increasing doubts about America's future, and are entering college bombarded by questions about jobs and the value of a college degree. They have never needed an actual airline "ticket," a set of bound encyclopedias, or Romper Room. Members of this year's freshman class, most of them born in 1994, prefer to watch television everywhere except on a television." A report surfaced toward the end of the year contending that BlackBerry OS 10 will include a list of 106 prohibited passwords designed to prevent the clueless from choosing the likes of 123456, blackberry, or the ever-popular "password" as their password. However, a RIM spokesman said that the list actually applies to BlackBerry ID universally, not only the upcoming operating system, and "has been active for some time now." What he wasn't able to clarify, though, was why the BlackBerry blacklist enforces such a brutally disproportionate prohibition against names found on the character list of "Winnie the Pooh." Fully five of the no-can-do 106 -- tigger, rabbit, eeyore, piglet and poohbear - are plucked from the pages of the children's classic. 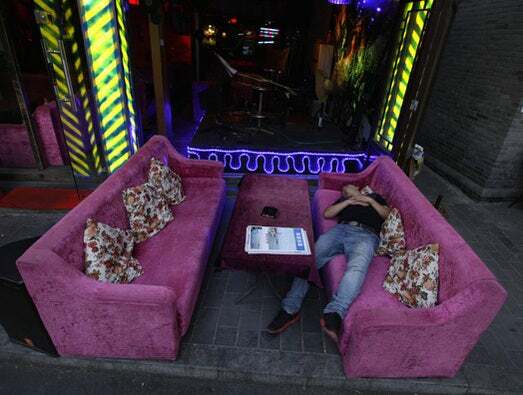 Thanks to Buzzblog. Stupidity, criminals and smartphones are a bad combination. Universalhub.com wrote in December that Wilmer Velasquez was arraigned on a charge of armed robbery after he allegedly stole a 15-year-old teen's phone at knifepoint. Prosecutors say his victim was playing with her younger brother in an East Boston playground when one suspect drew a knife and told her in Spanish to hand over everything she had including the victim's myTouch. The victim reported the theft to T-Mobile and ultimately got a replacement phone. When she did, she found that the same male who robbed her of her cell phone had used it – apparently accidentally – to post photos of himself to her Facebook account. Within a day, Velasquez was busted. Police in California are battling a rash of swatting calls directed at celebrities. You’ll recall that swatting is the dangerous scam where hoax callers report crimes in progress, triggering the dispatch of officers including SWAT teams. 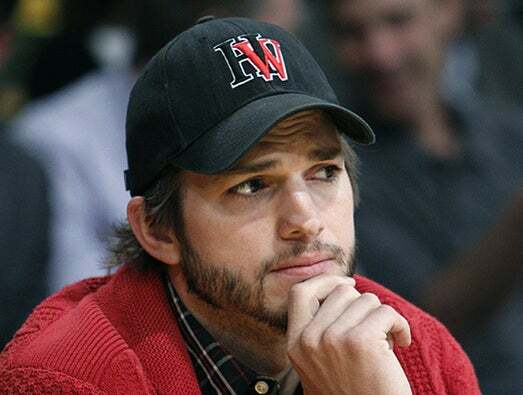 Simon Cowell, Ashton Kutcher, Miley Cyrus and Justin Bieber have all been targeted in recent months, according to therawstory.com. Bigger is better. 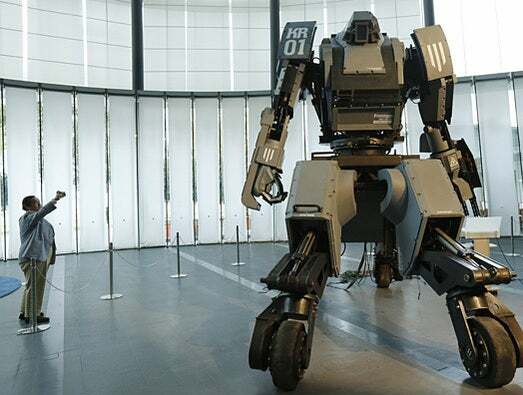 Here the "Kuratas" robot, a four-meter-high, limited edition, made-to-order robot is controlled through a pilot in its cockpit, or via a smartphone. The four-ton "Kuratas" can be customized in 16 colors, and is armed with a futuristic weapons system, including a multi-rocket launcher that fires plastic rockets filled with compressed water. It may be a gimmick or maybe the ultimate answer, but a California city this November OK'd a draft ordinance that would let businesses install 7,000 volt electric fences to protect sites from rampant copper thieves. As reported by the Sacramento CBS station, the reaction from one business owner to the ordinance says it all: "It'll be a little fun to watch one of these guys get electrocuted holding my fence trying to rob me." There is really so much junk floating around in space the government needs help keeping track of it all. This week the Defense Advanced Research Projects Agency announced a program to utilize amateur astronomers to help watch space for any dangerous junk that may be threatening satellites or other spacecraft and even the Earth. If you have a telescope, great but the program will even install equipment if you are in a strategic area the government wants to watch. It's not clear if the Federal Trade Commission was throwing up its hands at the problem or just wants some new ideas about how to combat it, but the agency is now offering $50,000 to anyone who can create what it calls an innovative way to block that will block illegal commercial robocalls on landlines and mobile phones. 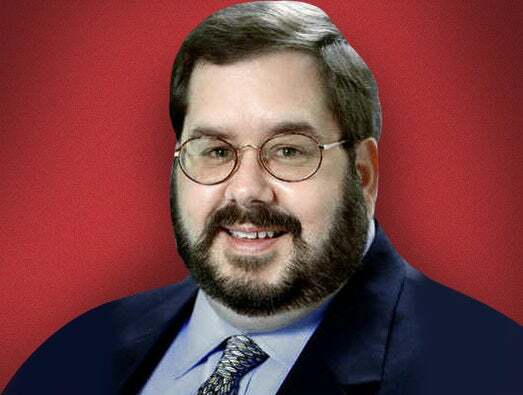 Officially the program is called the FTC Robocall Challenge, and it will be judged by Steve Bellovin, FTC Chief Technologist; Henning Schulzrinne, Federal Communications Commission Chief Technologist; and Kara Swisher of All Things Digital. NASA said it wants to gauge industry interest in the agency holding one of its patented Centennial Challenges to build the next cool unmanned aircraft. NASA said it is planning this challenge in collaboration with the Federal Aviation Administration and the Air Force Research Lab, with NASA providing the prize purse of up to $1.5 million. The type of challenge NASA said it is envisioning would be no easy task as it is looking to address one of the more complicated drone issues - sensing and avoiding other aircraft. 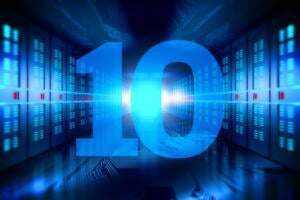 What are the next Big Things in science and technology? Teleportation? Unlimited clean Energy? The scientists and researchers at DARPA and the White House Office of Science and Technology Policy put out a public call this week for ideas that could form what they call the Grand Challenges - ambitious yet achievable goals that that would herald serious breakthroughs in science and technology. 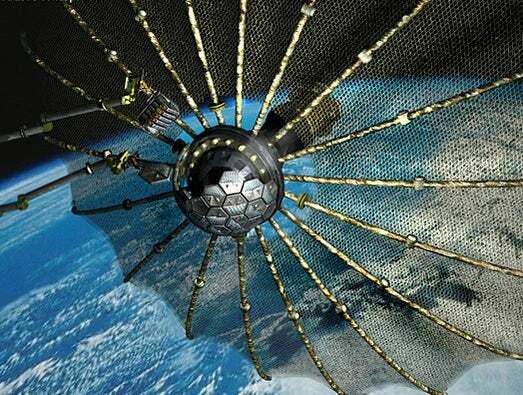 Scientists at DARPA say there are some 1,300 satellites worth over $300 billion sitting out in Earth's geostationary orbit (GEO) that could be retrofitted or harvested for new communications roles and it designed a program called Phoenix which it says would use a squadron "satlets" and a larger tender craft to grab out-of-commission satellites and retrofit or retrieve them for parts or reuse. DARPA this year concluded some of the most critical design tests of the Phoenix program - designing the algorithms that would help these satlets approach and tumble in sequence with the system they are trying to catch. What do you get when you mix access to Google's ultra-fast fiber network and old fashioned grass roots business ideas? Well, in this case you'd get someone living on your couch for free for three months. In August a group calling itself the "Kansas City Hacker Homes," launched a program that calls on the good folks of Kansas City to open up their homes to entrepreneurs and developers who would live and work there for a period of three months, rent and utility free. They have to buy their own food. The idea is to lure startup businesses and entrepreneurs to Kansas City while utilizing the high-speed, high-capacity Google Fiber service, which by the way doesn't offer business service just yet. The U.S. Department of Transportation said it will run a massive road test of cars, trucks and buses linked together via WiFi equipment in what the agency says will be the largest test of automated crash avoidance technology to date. The test will feature nearly 3,000 cars, trucks and buses equipped Wi-Fi technology that will let the vehicles "talk" to each other in real time to help avoid crashes and improve traffic flow in the test area around Ann Arbor, Mich. The sordid and tiring tale of one time antivirus software kingpin John McAfee on the run in Central America in connection with the death of a neighbor was truly surreal. McAfee confounded the world as he supposedly was behind a mind-boggling/fascinating blog, while on the run from authorities in Belize, before being captured in Guatemala. 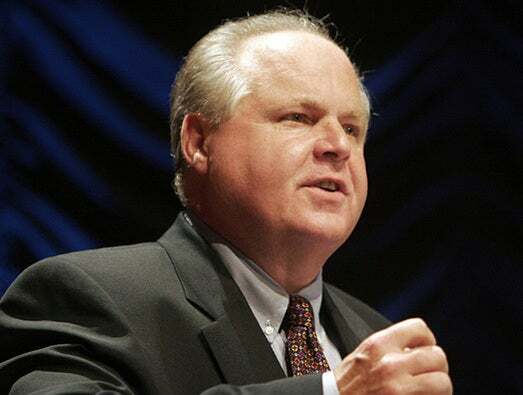 And speaking of tiresome personalities, conservative talk show host Rush Limbaugh described a technical problem with his iPhone and Apple's Siri voice assistant, encountered on his drive to work that morning. At the time he was abused, mocked, and disbelieved on many of Apple techsites and online forums for purportedly claiming to have been hacked, and blaming the hack on either the Obama administration or, to paraphrase former First Lady Hillary Rodham Clinton, the Vast Leftwing Conspiracy. Many of the bloggers and commenters outright say he's simply a liar, having made up the story out of whole cloth. Yet another weird robot. According to this PC World story, the Gestural Interactive Robot (G.I.A.) follows you around in order to engage you, and records your facial expressions. G.I.A. by Daniel Jay Bertner is a stationary sculpture, and is actually mounted to a wall. It can move, though, thanks to three arms controlled by servomotors. G.I.A. interacts with people and its surroundings via a webcam. Facial recognition software then maps out the person's face, and works out how they are feeling. The large orb-like object on the front is a projector, which displays your face and the emotion conveyed. 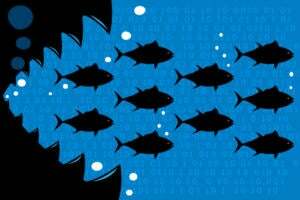 And the best leaked memo of the year award goes to: Cisco vice president of services Mike Quinn, a former CIA operations officer, who wrote he believes that whoever leaked an internal company memo to a blogger committed corporate treason and violated a "family" trust. In an email sent to Cisco employees, Quinn invites the anonymous leaker to voluntarily step forward, concedes that such a confession is unlikely, and adds, "so I will now make (finding) you my hobby." Did we mention that Quinn is a former CIA operations officer? Again, thanks to Buzzblog. Maybe it's the doom predictions some folks are fearing about the end of the Mayan calendar this year or maybe these guys are obsessed with old Bruce Willis movies. Either way a class of physics students from the University of Leicester decided to evaluate whether the premise of Willis' 1998 "Armageddon" movie -- where a group of oil drillers is sent by NASA to detonate nuclear devices on an asteroid that threatens to destroy Earth -- could actually happen. The students found that the device would need to be about a billion times stronger than the biggest bomb ever detonated on Earth -- the Soviet Union's 50 megaton hydrogen bomb "Big Ivan" -- in order to save the world from the asteroid. The CIA in July published a very interesting piece of its history, the once classified "Simple Sabotage Field Manual," which defines how the ordinary person could disrupt an ordinary environment, say an office "in such a way as to involve a minimum danger of injury, detection, and reprisal." The booklet was at the time of its distribution, aimed at defining ways to "sabotage the US' World War II enemies," the CIA said. Rather than dated, the "Five particularly timeless tips from the Simple Sabotage Field Manual" seem like they might be a screenwriters guide to penning a script for The Office TV show. This one comes from The Smoking Gun which this summer wrote about an employee at a Verizon Wireless store in Florida who illegally copied naked photos contained on the phone of a female customer and then shared the images with a fellow male employee. Cops learned of the photo heist when one of the employees last month showed the explicit photos to a male customer who happened to know the woman and alerted her to what had transpired at the business. 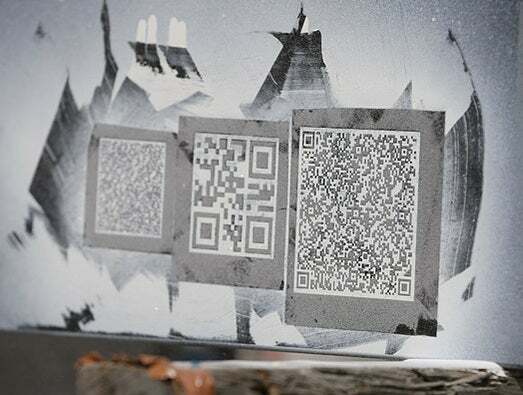 QR codes sandblasted onto a gravestone are pictured in the Austrian village of Boeheimkirchen about 40 miles west of Vienna. Austrian bereavement company Aspetosis is working with stonemasons to test technology that lets QR codes get sandblasted onto gravestones directly at cemeteries at a fraction of the cost of traditional methods of chiseling text or images onto memorials. All you need is a smartphone equipped with a scanner to read the so called "quick response" codes, to unlock a trove of information about the buried. In the good idea department: An official here holds a ball and wrist watch for a goal-line technology system by the FIFA-selected provider GoalRef, which will be used at the Club World Cup soccer tournament. 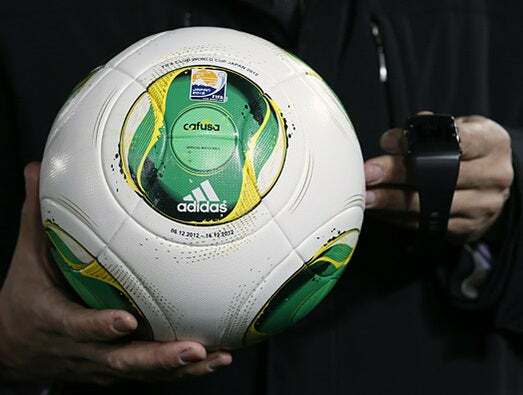 The system, which uses a microchip implanted in a ball and low magnetic waves around the goal, will detect if the ball has crossed the line and send an immediate message to the wrist watch worn by the referee. Thanks to our own Ms. Smith for this one: It's doubtful you ever stop to think about all of the overhead security surveillance cameras in stores, but you are aware it's there. A new twist on secretly spying on shoppers would put the camera at your eye level because it is hidden in the eye socket of $5,130 Almax mannequins. If you think dolls are a bit creepy, then how about life-sized dolls that can record a shopper's "age range, gender, race, number of people and time spent" either window shopping or browsing inside the store? The Netherlands-based Mars One organization this year announced plans to send four astronauts to Mars by 2023, with four additional 'crew' arriving every two years. The kicker? They won’t be coming back. 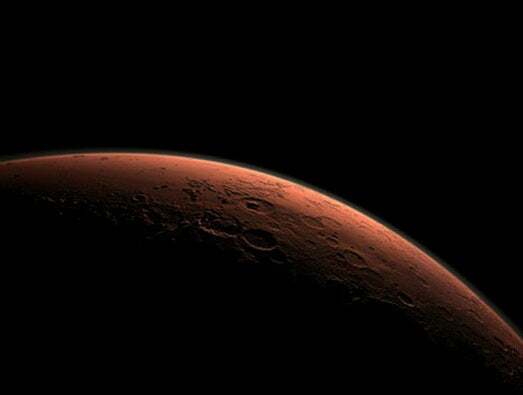 Mars One says the crews will spend the rest of their lives living and working on Mars. “While sustaining human life on Mars is not trivial, it is far easier and safer than bringing the crew back to Earth. If the astronauts had to return to Earth after their visit to Mars, a fully functional and fueled return rocket would have to be constructed on Mars without any human supervision, which is extremely complex and expensive. Instead, Mars One will provide the first and subsequent crews with water, food and oxygen by mining resources from Mars’ soil and atmosphere.” The group says over 1,000 people have signed up.